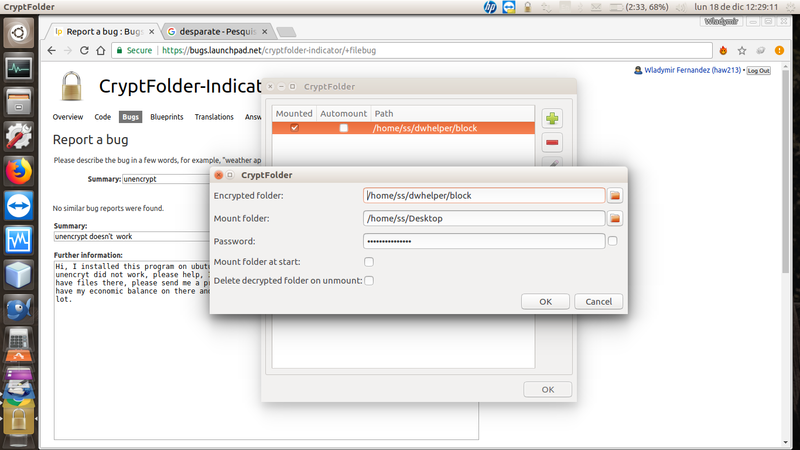 Hi, I installed this program on ubutu 16.04 lts, I try to encrypt a Folder that encrypt ok but for unencryt did not work, please help, I mount on the desktop and this encrypt my desktop too, and I have files there, please send me a printscreen o manual for encrypt and unencrypt files, because I have my economic balance on there and I can't have more access to this. I am desperate. Thanks a lot.